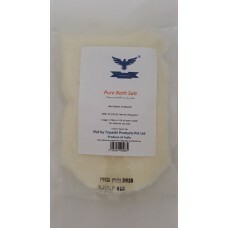 Baking Powder Premium Quality 100 grams Baking Powder to make Cakes, Dhokla and many more This Bakin..
Bath Salt Premium Quality 750 grams bath Salt for foot spa, Regular soaking of feet after days tirin.. Butter Scotch flavored Gelatin Powder Premium Quality 100 grams Edible Gelatin Powder to make jellie.. Butter Scotch flavored Gelatin Powder Premium Quality 2 x 100 grams Edible Gelatin Powder to make je..
Citric Acid Premium Quality 100 grams Citric Acid for Acidty regulator in Products, This is also use..
Citric Acid Premium Quality 1000 grams Citric Acid for Acidty regulator in Products, This is also us..
Citric Acid Premium Quality 200 grams Citric Acid for Acidty regulator in Products, This is also use..
CMC Powder Premium Quality 100 grams CMC Powder for thickening dessert, cakes etc.. This CMC Powder ..
CMC Powder Premium Quality 200 grams CMC Powder for thickening dessert, cakes etc.. This CMC Powder ..
CMC Powder Premium Quality 250 grams CMC Powder for thickening dessert, cakes etc.. 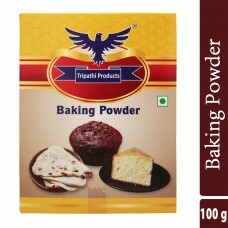 This CMC Powder ..
CMC Powder Premium Quality 350 grams CMC Powder for thickening dessert, cakes etc.. This CMC Powder ..
Unsweetened Dark Cocoa Powder Premium Quality 100 grams Unsweetened Dark Cocoa Powder for making des..